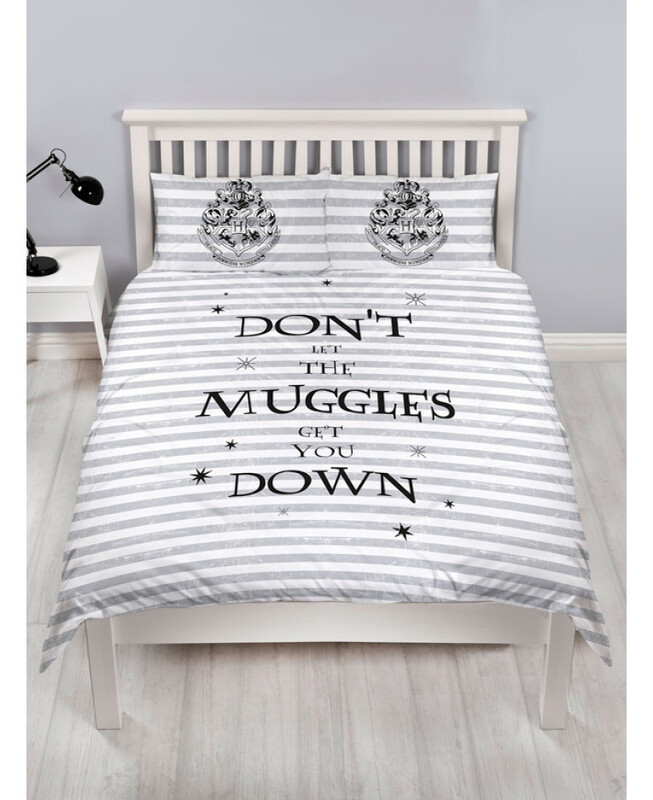 This official Harry Potter Spell double duvet cover set is a must for Potter fans of all ages! 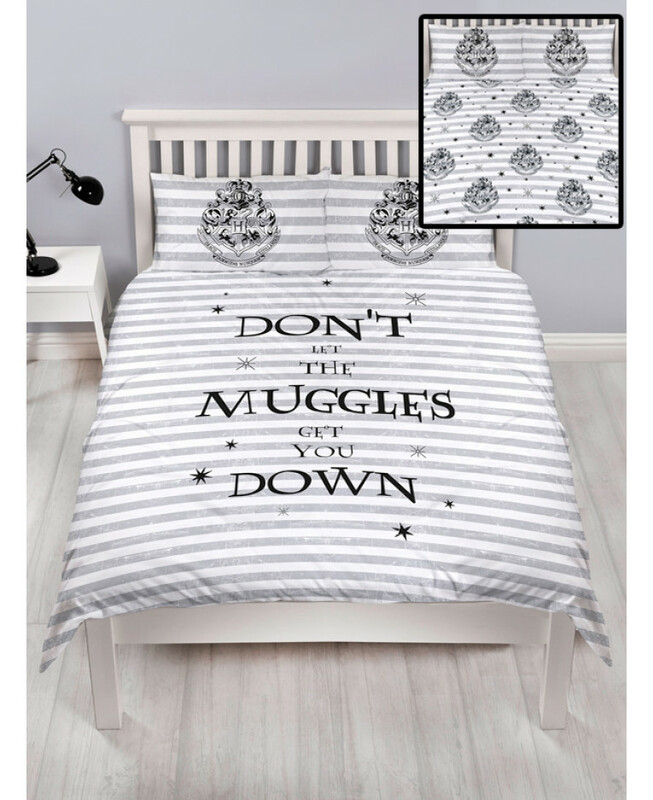 The duvet cover features the words 'Don't let the Muggles get you down' on a grey and white striped background with the Hogwarts crest proudly displayed on the pillowcase. 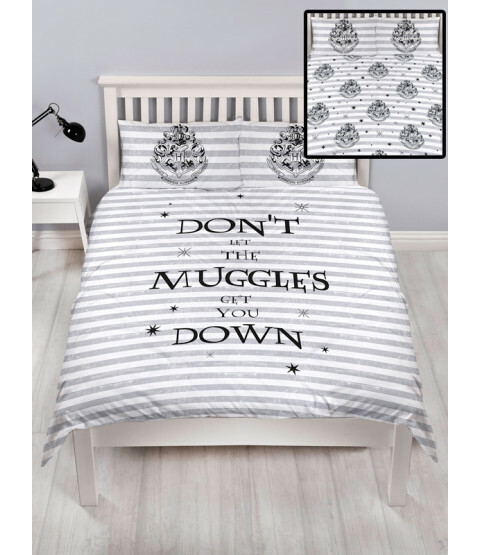 The Hogwarts crest is also used in a smaller repeated pattern on the reverse of the duvet cover accented by stars on the same grey and white striped background. 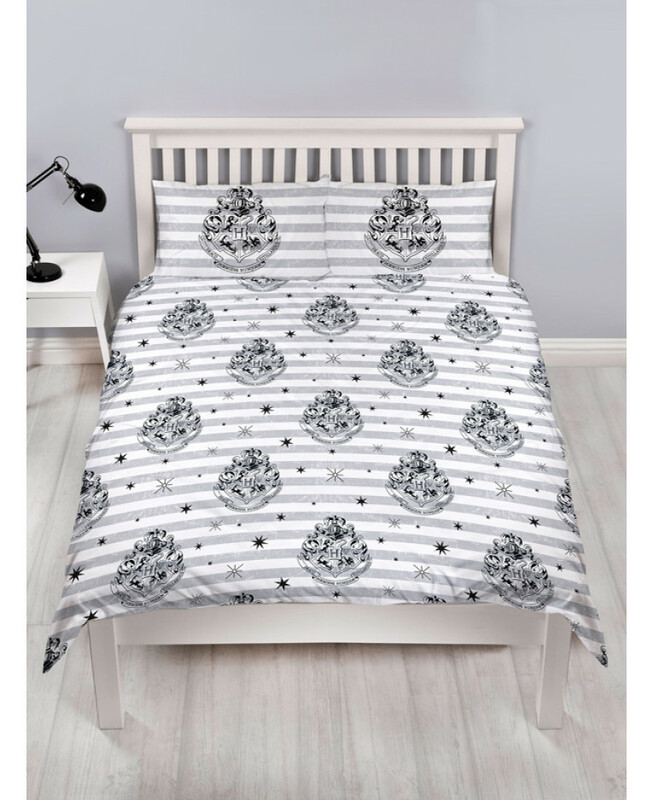 This cotton mix bedding set can be machine washed and tumble dried on a cool setting.